When someone says “tech hubs,” you’d be forgiven if your first thought is Silicon Valley, and your second thought is someplace like New York. Cities in the South don’t often make that mental list of innovative locations full of growing businesses and hustling entrepreneurs. 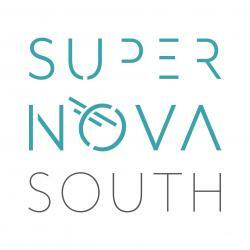 But this October, SuperNova South is here to show you why they should. 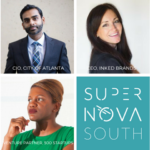 With so many cities in the South making moves in tech, startups and even the film industry, it’s no wonder the SNS lineup is overflowing with incredible talent. 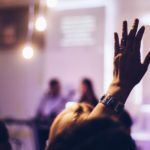 From Tennessee to Florida to the Carolinas, startup hubs are emerging across the region, each one with a unique personality and area of expertise. Chattanooga boasts significant geographic benefits by being right in the middle of several major shipping hubs, and it’s doubling down on that by attracting cutting-edge logistics companies like WorkHound and Skupos. Meanwhile, Nashville features more than just music: A flourishing health care industry there generates $38.8 billion annually, which more than supports local startups investigating healthcare innovations. In North Carolina, tech businesses grew jobs by 62 percent from 2006 to 2016, and pushed a 23 percent increase in STEM workers over the last decade alone. And in South Carolina, tech growth in jobs and startups grew just over three percent last year, the eleventh largest jump in the country and outpacing the national average. And, of course, let’s not forget Atlanta. According to CBRE’s latest Scoring Tech Talent Report, Atlanta is number five in the Top 5 Tech Talent Market. 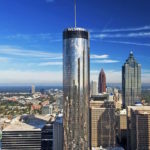 From a strong history in fintech to an explosion in tech centers, incubators, co-working spaces and startup hubs, Atlanta is (ahem) bringing our “A game” (sorry, we had to!). The city also boasts a lower-than-average cost of living, a 30 percent increase in tech degree completions since 2011, and the eighth-highest increase nationally in tech wages at 15.7 percent from 2011 to 2016. 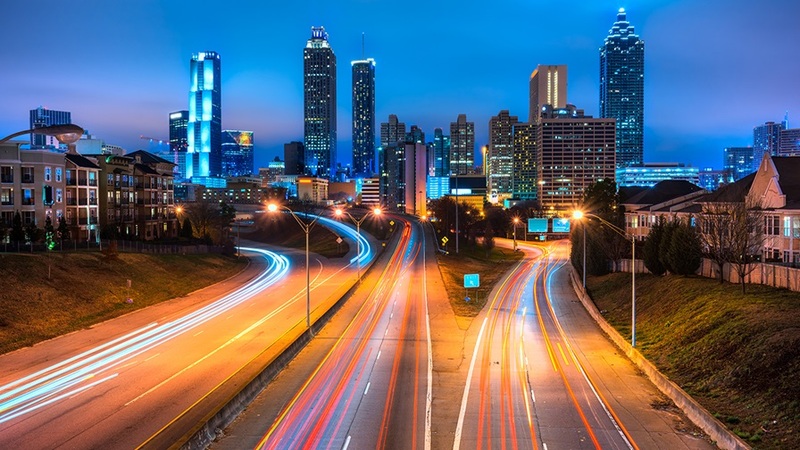 Forbes named Atlanta number three in a recent story on “5 U.S. Cities Poised To Become Tomorrow’s Tech Meccas,” while global real estate firm Cushman & Wakefield put us at 17 among America’s “Tech 25,” a list of 25 American regions deemed the best in tech. 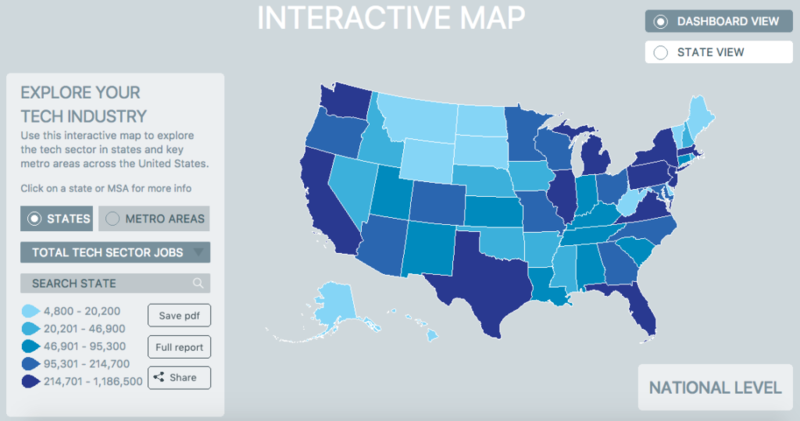 CompTIA (Computing Technology Industry Association), the world’s leading tech association, has even created a tool called Cyberstates that aggregates data and insights for the tech industry, shining a light on the vast world of opportunity within tech. Georgia is expanding in other aspects of technology as well: In 2016, the state’s film industry ranked third nationally behind California and New York, with nearly 3,000 motion-picture and television industry businesses. Georgia also hosted more feature film productions in 2016 than any other market, outpacing New York and Louisiana by nearly three times as many feature films, based on the 100 top-grossing films at the U.S. box office. Georgia offers a temperate climate and a multitude of location options, from outdoor locales like mountains, beaches and cities to movie lots, soundstages and production companies. That, combined with extremely attractive tax incentives, has made Georgia the top film location in the world. The state brought in a staggering $9.5 billion in economic impact in fiscal year 2017, including $2.7 billion in direct spending. Celebrities are also seeing the chance to invest in the local economy. Many are building brands and businesses in the area, such as Tyler Perry’s Tyler Perry Studios. Another studio, Pinewood Studios, is slated to be the largest studio complex in U.S. outside of Los Angeles. 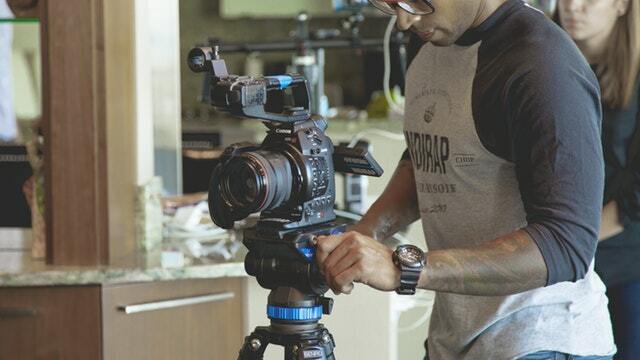 Thought leaders in tech and those at the forefront of the film industry are right here in our backyard, and SuperNova South is collecting them all in one innovative week. Join us this October to hear from Southern talent, leaders, innovators and achievers, and see the future of tech. And next time someone says “tech hub,” you’ll have a whole new list in mind!